Do you feel exhausted? In the middle of February, you might feel like the actual spring break will never come. But suddenly there is a light at the end of the tunnel called Spring Break that can get you through gloomy decorations and stretches of study weeks with no vacation days in sight. So nobody surprised that many take advantage of this holiday, even if they’re not students anymore. Are you tired of trivial destinations such as Panama City Beach and Daytona? Take a look at the cheap spring break destinations for 2017. Are you interested in Spain? Do you like history? Visit San Juan and explore its magnificent history along with the beautiful beaches. As it’s a major port of departure for cruises to the Southern Caribbean, San Juan is hardly a hidden pearl. But with Old San Juan just a quick ride away you can hit up the 16th-century El Morro and 18th-century Fort San Cristobal. Puerto Rico is vast, and you may spend the whole spring break discovering the unusual places of this country. Take a closer look at the rainforest at El Yunque, this can be visited in a few hours. The Bacardi distillery isn’t far out of town, so take some time to pay a visit. You wouldn’t recognize Roatan a decade ago. It was a sleepy island with no tourists and infrastructure at all. Over past ten years, Roatan managed to become one of the most popular destinations for a calm vacation and breathtaking nature. Discover Gumbalimba Park, the marine life and don’t forget your diving glasses. The diversity of sea creatures there will absolutely surprise you. Think about Honduras as your alternative spring break destination. To this day, Santo Domingo is still a vibrant, flourishing metropolis and performs as both the capital city of the Dominican Republic and the biggest city in the Caribbean by population. But it has so much more to offer: The sounds of merengue, bachata and salsa drifting from a Malecón club or the sense of conch gratinée wafting from a lovely café in Zona Colonial. Because of its history, it’s also a city of superlatives: where you’ll find the first church (Catedral Primada de América), the first stronghold (Fortaleza Ozama) and the oldest street (Calle Las Damas) in the Americas. This is the real Santo Domingo. Most spring breakers don’t know about this place, so there won’t be too many crowds. The amazing beaches, reputable food scene and the most famous nightclubs that stay open until 5 a.m. created Miami a popular Florida spring break destination. 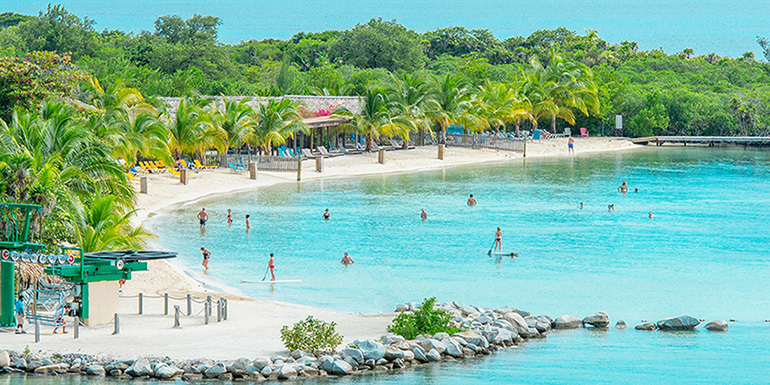 You will definitely get much of the fun, beachy vibe here that the Caribbean provides – without the additional cost of a Caribbean-bound flight. Like Cuba’s ultra-capitalist offshoot, Miami is an expanding, contemporary metropolis that’s nonetheless relatively harmless and fresh for a city-meets-beach-town getaway.